Birds have trees. Fish have water. What do bats have? As the winter nights start to draw closer, the warm blooded mammals of the Park begin to take stock of their summer seeds and berries and cache them for the upcoming cooler months. One particular mammal, and probably one of the most unobserved, is Stanley Park’s local bat species, Myotis lucifugus, or little brown bat. These elusive nocturnal mammals flutter around just after dusk and throughout the night, constantly searching for food. Most bats are aerial insectivore species, which means they feed primarily on flying insects. So, after some strong competition from the local barn swallows and dragonflies during the day, Stanley Park’s bats turn to the cover of darkness to hunt peacefully throughout the night looking for some of their special favorites: moths and mosquitos (thank you, bats!). After the long hot summer starts to fade, the insect population dies away leaving little food for bats to survive on. Some bats migrate south to warmer climates where food is still available, but other bats actually hang around (excuse the pun) and hibernate. Bats can use different types of structures for protection and to huddle together as a community to keep safe and warm over the winter. Bats like to roost in deep caves, in crevices of old ‘wildlife’ trees, and also in human-built structures like under bridges, in old mining shafts or in our own attic spaces – including the attic above SPES’ offices in the Stanley Park Dining Pavilion. 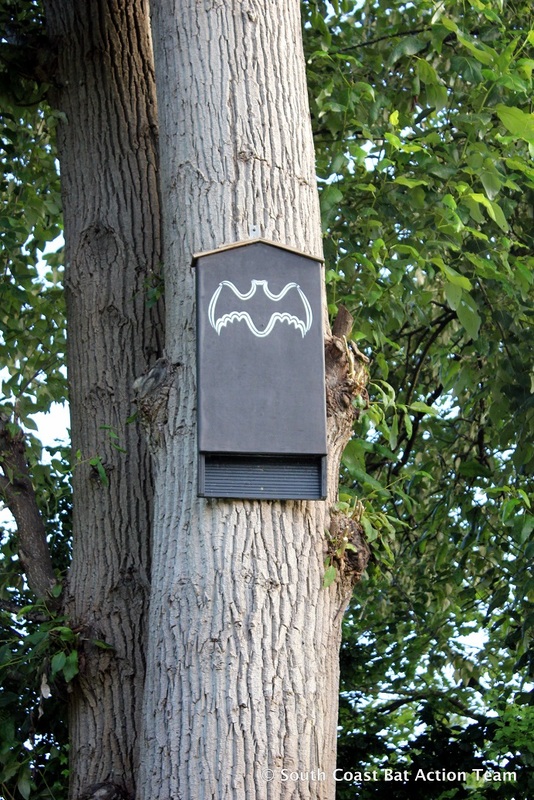 Bats also like custom made, state-of-the-art bat houses! And since humans are so good at creating things, building bat houses is a good way for us to help our local bats find shelter over the winter! 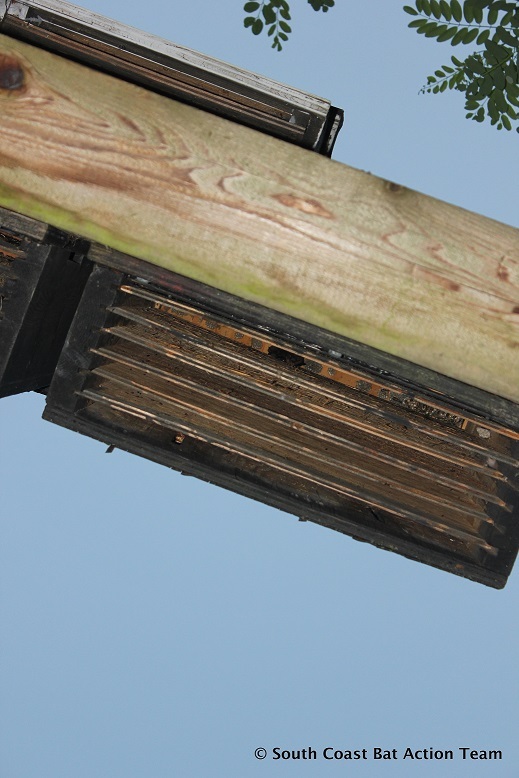 Underside of bat box revealing roosting crevices. 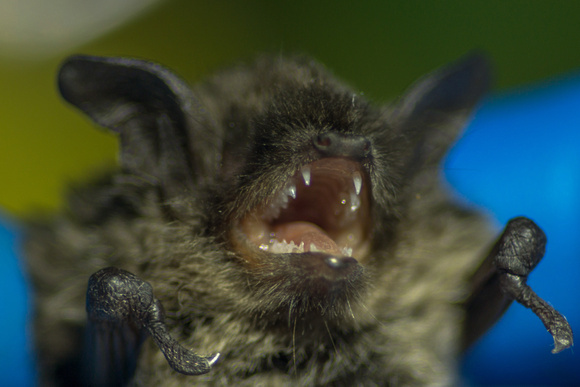 Stay tuned for updates on bat populations in Stanley Park. Together with SCBAT (South Coast Bat Action Team), SPES is conducting baseline bat surveys in Stanley Park. We’ve already found a new bat roost, and it’s possible we may discover bat species we didn’t know lived here. Engaging a wide diversity of community stewards from the everyday citizen to corporate groups shows that SPES is vested in long-term action and without such action, Greater Vancouver risks losing a significant portion of its biological richness.